After withdrawing at the last minute in 2015, a twice-disgraced Islamophobe will be back at the pro-Israel group’s annual summit this year. Last year, Investigative Project on Terrorism head Steven Emerson quietly pulled out of the annual conference of Washington’s most influential pro-Israel lobby group, the American Israel Public Affairs Committee (AIPAC). He pinned the withdrawal on “an unexpected medical problem that required my immediate attention,” but it was impossible not to notice that it came amid reverberations of criticism for the latest of Emerson’s Islamophobic outbursts. The Birmingham comment elicited ridicule from across the spectrum—”This guy is clearly a complete idiot,” British Prime Minister David Cameron said in an interview—and eventually Emerson and, perhaps more improbably, Fox News itself apologized. A few weeks later, Emerson was out at AIPAC. Now, Emerson is back. His name appears on a list of confirmed speakers published by AIPAC ahead of its Washington, DC, conference later this month. That Emerson is no stranger to AIPAC summits—he has appeared other times at the conference, including 2012, 2013 and 2014—does not mitigate the impression created by AIPAC that its quest to further Israeli interests involves relying on and stoking the anti-Muslim animus that has exploded into a national crisis in the United States. With the new invite to Emerson, AIPAC is showing how little it cares for reining in the hate that has come to characterize not only the right-wing pro-Israel milieu, but Republican Party politics as well. Emerson is far from AIPAC’s only link to the anti-Muslim right. Nina Rosenwald, a major Islamophobia industry donor, was an AIPAC National Board member (her relationship to the group at this point is unclear; she runs her own anti-Muslim shop these days). Sheldon Adelson, the extremist billionaire GOP donor, has also given large sums of money to AIPAC—when not threatening to close the taps because the group was too moderate (Adelson has also funded Emerson’s groups). As recently as 2011, Daniel Pipes, another prominent Islamophobe and frequent Emerson ally, was listed as an adjunct scholar by the AIPAC spin-off think tank, the Washington Institute for Near East Policy (I have seen Pipes glad-handing attendees at AIPAC summits in the past). And AIPAC hasn’t hesitated to leverage others with anti-Muslim bias in its policy initiatives: the “military expert” the group turned to in its campaign to undo the recent nuclear deal with Iran is mixed up with the notorious Islamophobe Frank Gaffney. The Emerson invite tells us more about AIPAC than it does about the twice-disgraced talking head. Emerson, however, stands out because of how prominently he was disgraced: His Birmingham remarks were followed by a slew of articles reminding readers that he had been similarly discredited before (he claimed the 1995 Oklahoma City bombing bore a “Middle Eastern trait” because the terrorist—eventually discovered to be a right-wing white American—sought to inflict maximum casualties). Emerson’s scholarship, if you can call it that, has frequently been full of holes but was in one way too consistent: It always pointed a demagogic finger at Muslims living in the United States and abroad. His AIPAC panel is supremely unlikely to offer much else, and he will face few challenges in doing so; these forums are not, after all, debates. 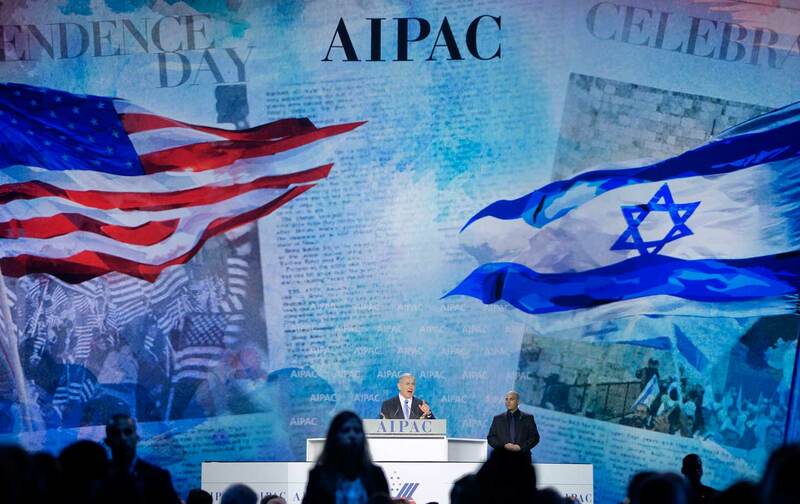 If AIPAC wants to convince people that Israel is a country worth supporting, it ought not do so by giving platforms to those figures who weaken American values by casting suspicion on neighbors because of their faith and their faith alone. Everyone already knows that Steven Emerson is a bigot and a charlatan. The invitation extended by AIPAC tells us more about the pro-Israel group than it does about the twice-disgraced talking head.